What is your favourite items? 84 Commenti on "New in! Do you like it?" my name is megha.. i am from india.. love your style and blog. do let me know where you get your inspiration from. i am megha from india.. luv ur blog and ur style. do let me know from where you get your inspiration! luv your violin bag. I am inspired to myself and what I like. I love every style and I love vintage pieces! I love all of these items ! My favorites are the red heels and the beige jacket. amazing !! i feel dressing is an art.. and are creating beautiful art! @MEGHA If you like fashion you must be talking with your style to others! Wooow le ballerine!! Di che azienda sono? riesco a trovarle sul web? Grazie..
P.s. Ti seguo da pochi gg, ma il tuo stile mi piace tantissimo..e poi hai dei capelli da favola!!! Baci Nico.. Sole. My favourite item is definitely the bag. It’s awesome and I love that yellow. Perfect for fall! And I also love the jackets. Love the details with the chains. la pochette appesa nella prima foto… l’adoro!! 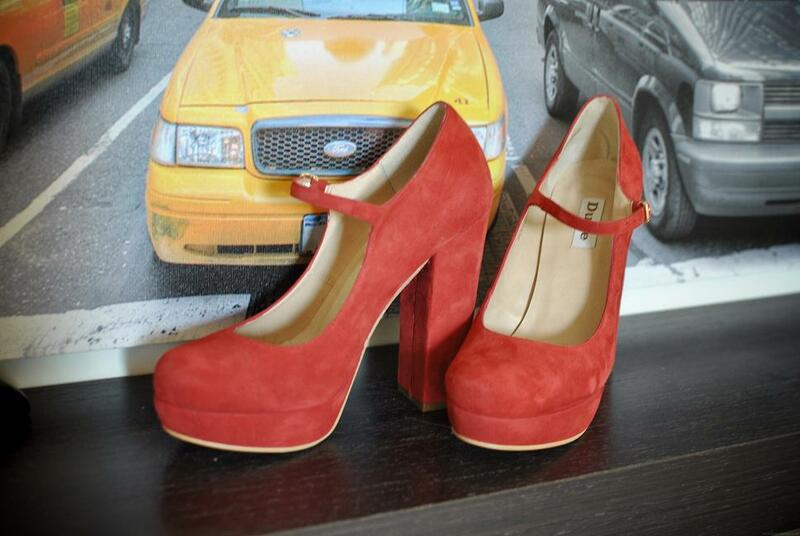 Ottimi acquisti soprattutto le scarpe rosse! Where did you buy the yellow purchase??? Is amazing!!! Adore the tweed jackets, mustard hued fit & flare dress, and that metal tipped clutch! What beauties. That shoes, completely gorgeous ! love all!!!! but the bag with that ‘gold’ detail is amazing!!!!! want it now!! amore abbiamo tutto uguale ahahah… solo che a me non sono ancora arrivate le scarpe di Sarenza!! :( sighhhh. un bacio, mi manchi! !